I’m still so excited because today I got to meet my best blogger-friend Jen from The Dolls Between Us!! Jen and her daughter, Brianna met me at the AG store to check out all the new things and see Nanea, Z, and Gabby for ourselves. First thing I checked out were the windows. 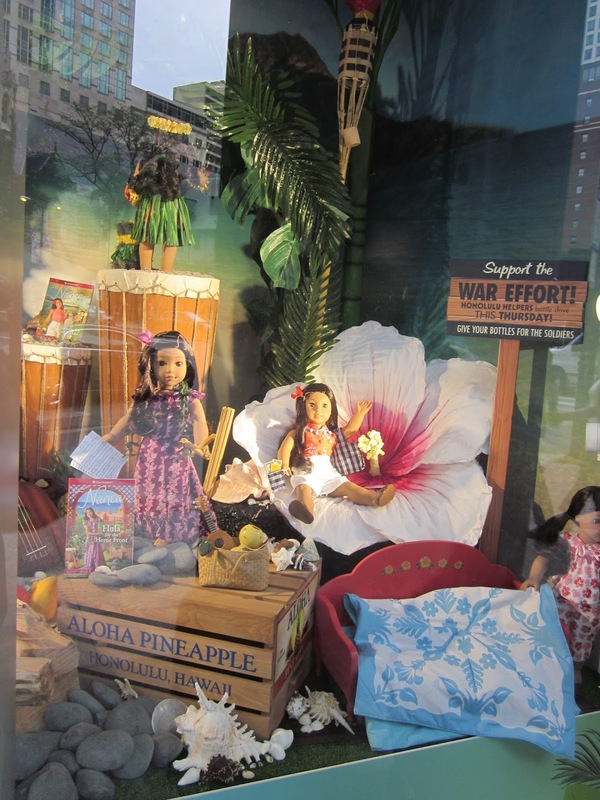 They had the make your custom doll window (boring, I didn’t take a pic) and Nanea. Elizabeth and Kanani came with me, and of course Kanani scrambled out of the doll basket before I could grab her and ran over to say hello to the newest doll who was about to come home to us. They got to know each other in Nanea’s bed and meet Mele, the dog. And when Nanea found out Kanani worked a shave ice stand, she brought Elizabeth and Kanani to see the general store. I guess Lea told Kanani to have her picture taken in front of the Girl of the Year Archives. 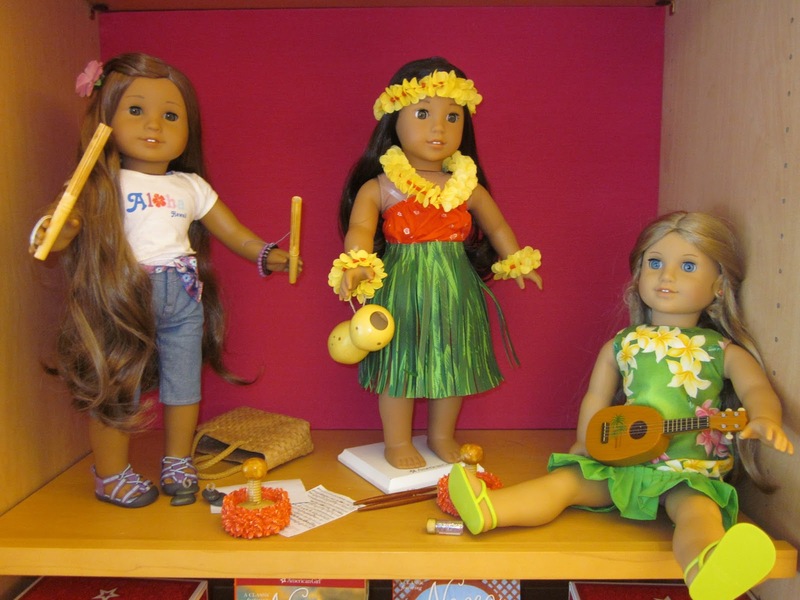 And Nanea taught Kanani and Elizabeth some new Hawaiian songs. Then it was time for tea! I have been to the AG place SO many times but I’ve never had anything to eat there! 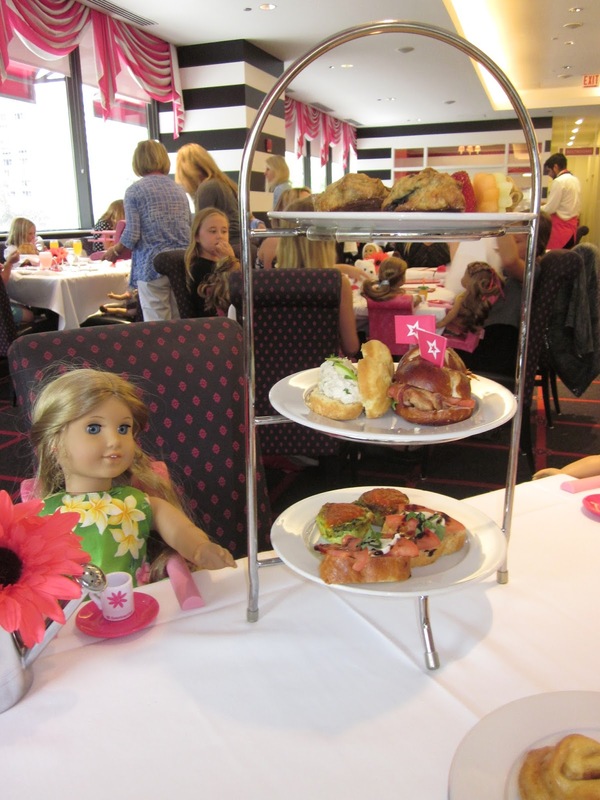 All the dolls got seated first, then the humans! 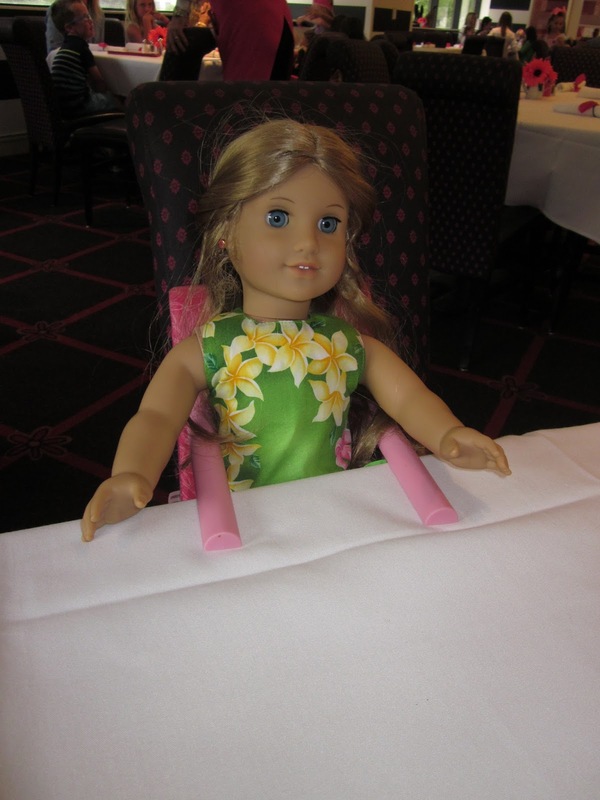 They even had loaner dolls who could sit with you if you hadn’t brought a doll and Z and Nanea were among them! 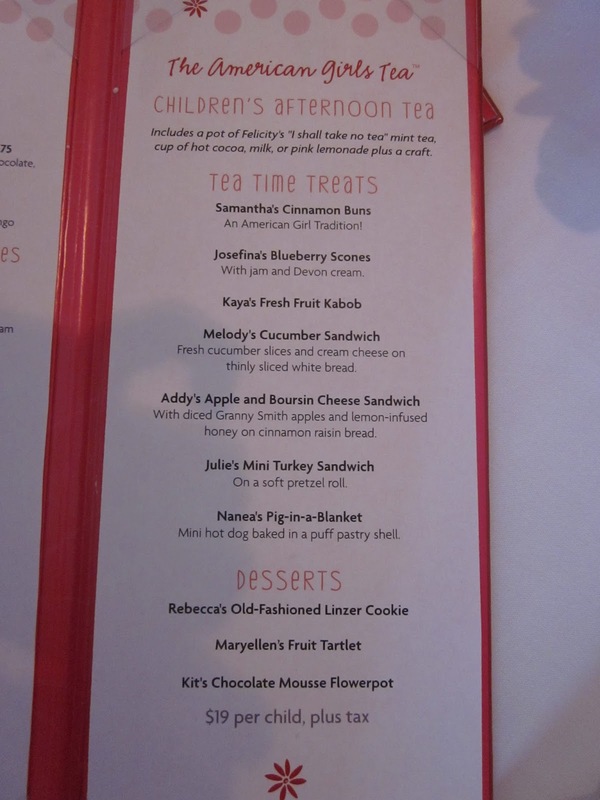 The kid menu titles were way more fun than the adults! Kid menu above, adult below. 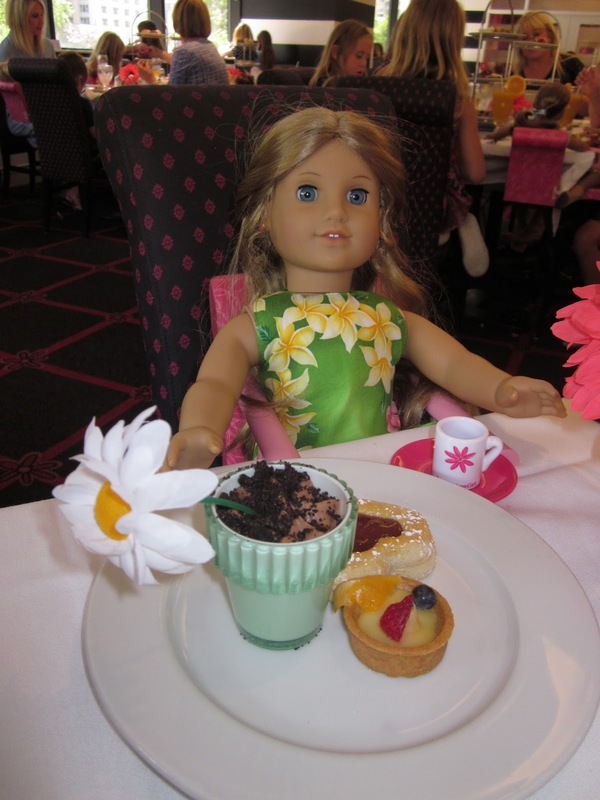 The dolls were served first too, and we got to take the plate and cup home! Our tea tray arrived very quickly! And we had special desserts at the end! 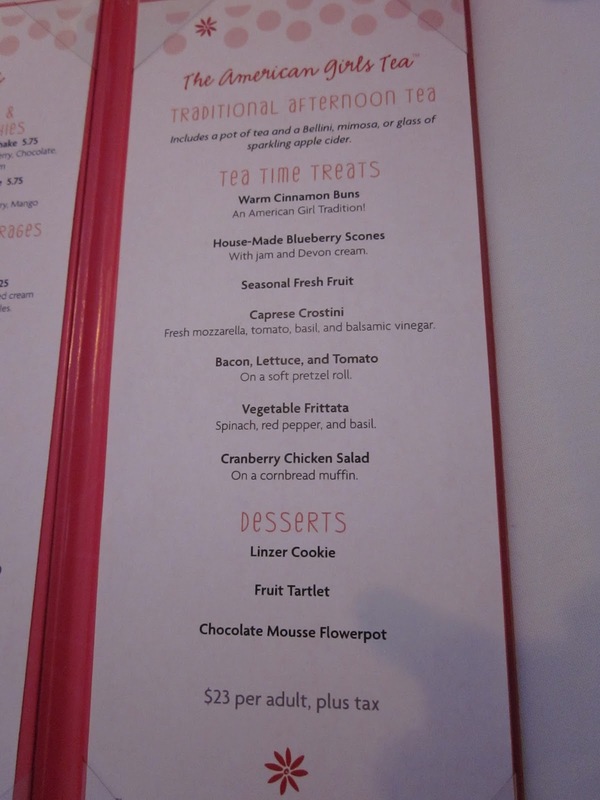 The chocolate mousse was amazing! I had such a good time with Jen and Brianna! It was so fun to finally meet each other face to face after years of replying to each other’s blogs! So fun to get to know them better! Nanea came home with me too! I can’t wait to read her book and meet her. Brianna said it’s her her favorite and Jen highly recommended it, so I’m super excited about it! 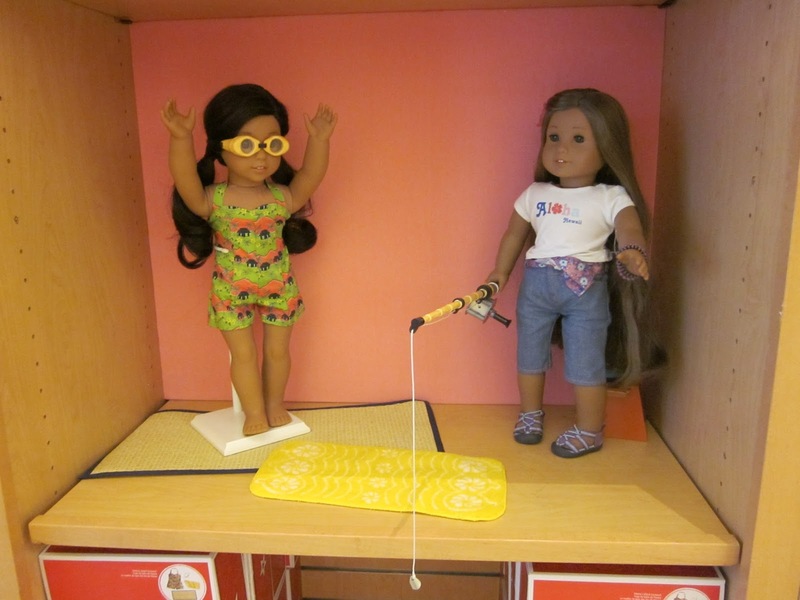 Jen and Brianna, thank you so much for making the trek down here and spending doll time together! Fun memories have been made! ps. 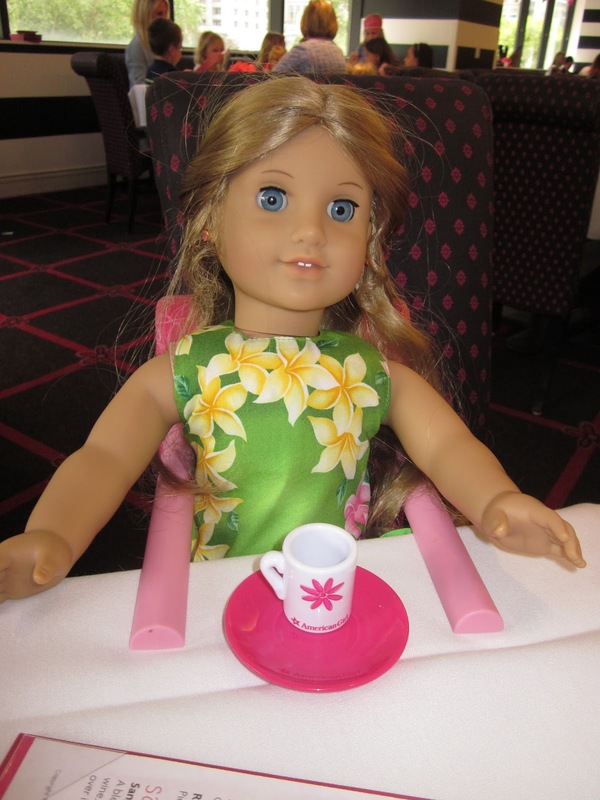 Meet the woman behind Nanea here. It was a terrific day! We loved meeting up with you, Kanani, and Elizabeth. We are still talking about how the waiter dropped two pieces of flatware SO CLOSE to Elizabeth’s head. Next time, maybe loaner dolls are a good idea!! 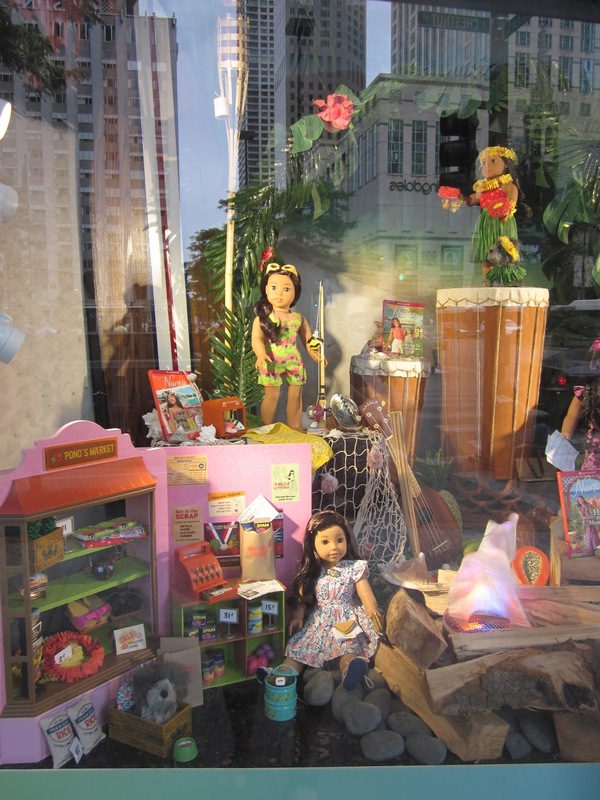 We never did check out the display window so I’m glad you got pictures. When we got home we had a massive changing of doll clothes and went to bed. It felt right to go back to work today after the great fun yesterday. Thanks for the wonderful afternoon. Yeah! I was wondering what would have happened had one of our messy forks landed on her!!! Looks like everyone had fun! Love that green and yellow dress. Thanks! I even got it when I was in Hawaii! How fun!!! It’s always great when you get to meet up with people you’ve been chatting with online. Can’t wait to hear more about Nanea too. Jen and I were talking about you! Maybe sometime we can ALL get together! I love that you girls got to have a meet up!! 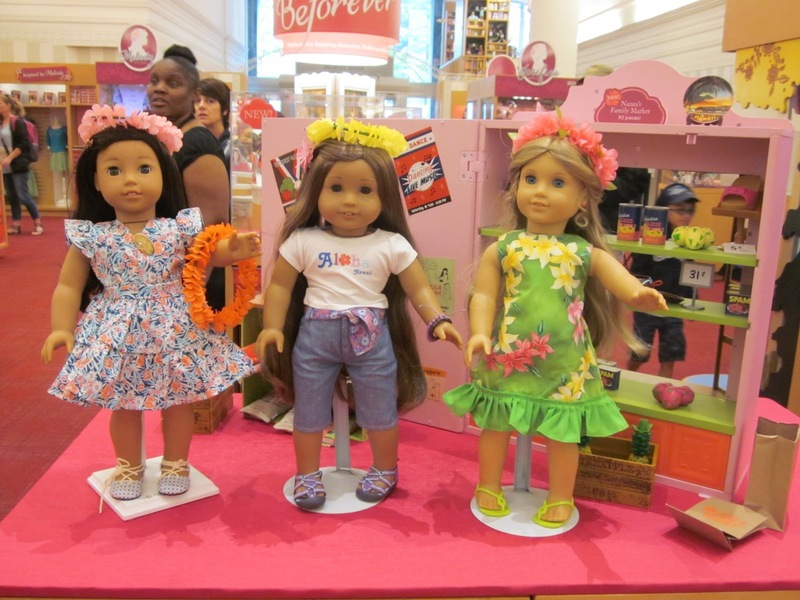 It’s so fun to find people who love dolls just as much as you do! 🙂 Looks like you had a fun day! All the dolls are so adorable! Welcome home Nanea!